The new Streetside Showers three stall rig at the Collin County Assistance Center where it visits on Wednesday afternoons. In the last year, he's turned up the faucet. Streetside Showers 2.0 has three stalls, including an easy access ramp for people with mobility problems can shower seated if they have to. When we last met Lance Olinski, he was a man with an idea: providing showers for homeless folks in Collin County. This is after he had an epiphany while watching a homeless person basically taking a bath in a restroom sink. With funds from his own not-very-deep pocket, he put together what I’ll call Streetside Showers 1.0. 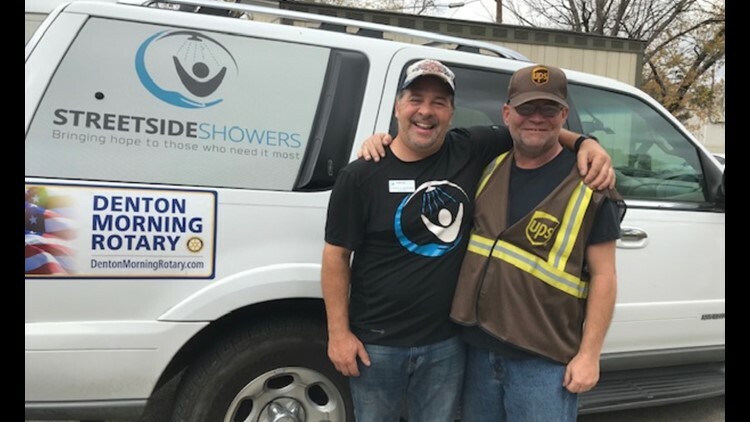 With guidance from a similarly-minded charity in California, he acquired a two-stall mobile shower he could tow around North Texas behind his SUV, offering free showers where they were needed. In the last year, he’s turned up the faucet. Streetside Showers 2.0 has three stalls, including an easy access ramp for people with mobility problems can shower seated if they have to. Donations allowed him to buy the new facility and a more powerful truck to pull it. Lance Olinski has fine-tuned his program over the last several months. Male clients are allowed precisely sixteen minutes in the showers, women get twenty-one. “Extra time to wash their hair,” Olinski said. 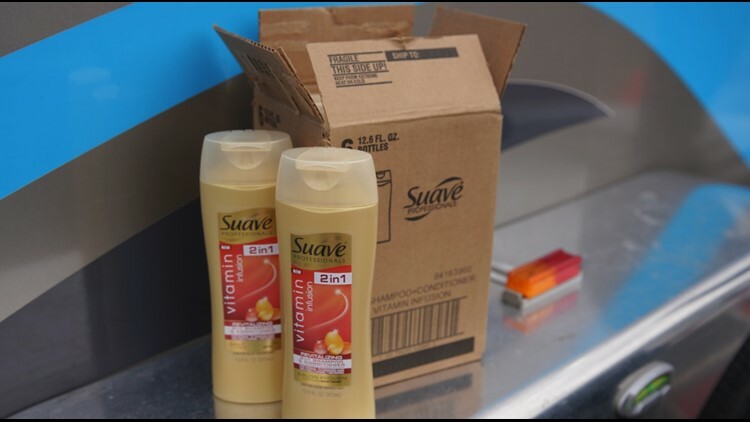 Lever Brothers, the soap and shampoo maker, has agreed to donate toiletries to Street Side Showers on a permanent basis. Lever Brothers will donate products to keep clients clean. 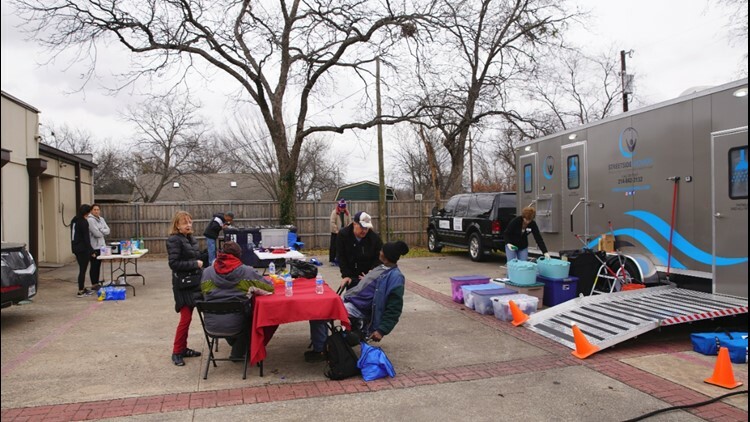 On his weekly stop at the Collin County Assistance Center in Plano, a group now supplies lunch for the men and women who show up for showers. The Collin County Homeless Coalition Interfaith group rotates cooking chores every week. Each client has always received a packet of toiletries, a clean towel, and a pair of socks, but now Lever Brothers, maker of soaps and shampoos, has agreed to permanently supply the project. 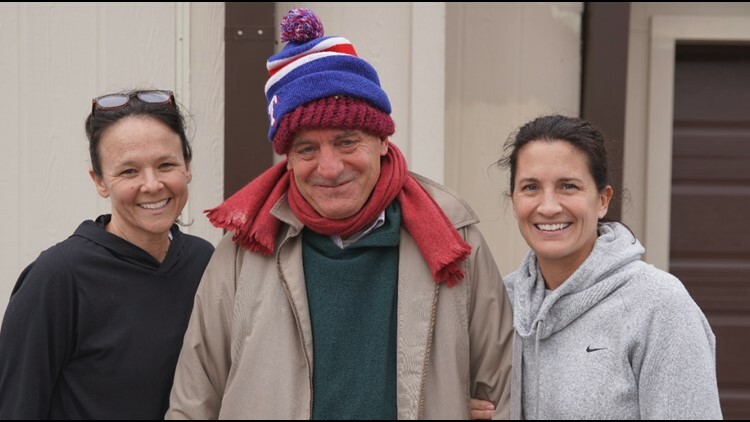 Adele England and Laura Blackburn served lunch to Doug, who was celebrating sixty days sober. It would be presumptuous to say a shower can turn a life around, but since Kenneth (below) became a Streetside client he landed a job with UPS after being unemployed. “Dignity can turn a life around,” Olinski said. Lance and Kenneth, who landed a job with UPS after he had a regular place to bathe. His next goal, now that he has two portable shower units, one two stall and one three, is to expand to Irving. There are always hurdles, even if one is trying to accomplish a positive goal. But Olinski is optimistic.